©1994 Carl Sagan (P)2017 Brilliance Audio, all rights reserved. I've read this before and heard the audio version before. every time it's awesome. 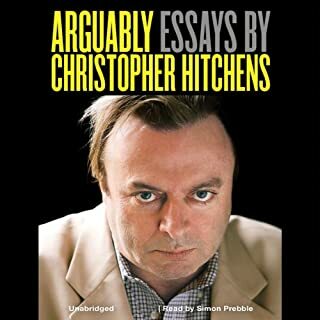 this new audible version however is maybe 15% read by Carl. the rest is Ann Druyan. nothing against her, she did a great job, it's still a great listen, but she is not Carl. so it was disappointing that the audio was not good enough and we got so little Carl Sagan. they should be more up front about it. I clicked the preview heard Carl's majestic voice and then clicked buy. Great book, in dire need of a voice actor. All due respect to Ms Druyan's erudition, her voice is not suitable for this sort of performance. Though there was lots of useful information and what could have been very inspiring stories and anecdotes. the narration of Anna duryan was too excited, too often, about too many things, ultimately muting any moments of significance in the book. I'm on chapter 16 and am having trouble justifying finishing the rest. I love this book. I shouldn't have to tell you of its grandeur and importance. 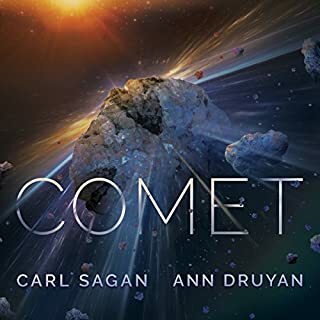 I have total respect for Carl Sagan and Ann Druyan; I am ever thankful for their work. This review is souly regarding the recently released Audible edition. I understand the thinking behind releasing a new digital conversion of the original masters, as they are now, with silences contained within the degraded tapes. But, I would have much preferred the previous audio book release sound files, lower fidelity as it may be, to have been spliced in where there is silence. In this release, entire paragraphs are unintelligible from the tape degradation. Also, the sections where Ann Druyan narrates have a very noticeable and distracting noise gate. Her performance is wonderful, but the background hiss pops in when she speaks and pops out when she stops. My amateur home studio has a better noise to signal ratio than this recording, and even still, leaving the gate off with the background hiss playing continuously would have been less distracting. 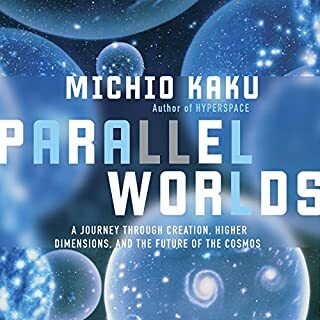 I am not sure why the previously released audio book version is not able to be purchased, whether it's due to copyright or licensing or some other absurd reason. That is the version I would like to get my hands on. All that being said, I do not regret purchasing this, as it supports Druyan and the Sagan estate, but I don't think I will be using it much. I hope at some point a good copy of the first release is found and sold once again. I can hear bad artifacts. 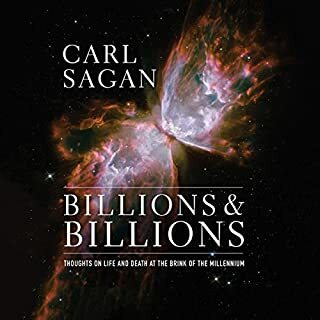 It's a shame because Carl Sagan's narration of this book is one of the most compelling things I have heard (I have another version of this recordinb that doesn't have terrible artifacts). There's like a loud hissing sound during most syllables. I even set it to "high quality" mode and it is still very bad. 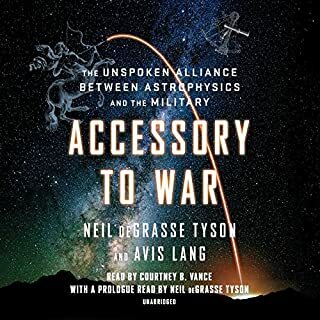 This book is amazing, but hearing Carl Sagan narrate it (without terrible compression artifacts) is even more powerful. I am literally moved to tears during many parts of this book. But not with this terrible audio quality. It's Carl and Annie!!!! What a treasure!! When does an unabridged audiobook come out for the first time 20 years after its author has died using the author's narrative voice? It's almost unheard of in the audiobook world, and yet in this case it happened. And it's not just any author--it's none other than the greatest popularizer of science of the 20th century---Carl Sagan. "Pale Blue Dot" was the only book Carl ever did an audio recording of before his untimely death in 1996. It was an abridged version on audiocassette, now long out-of-print. 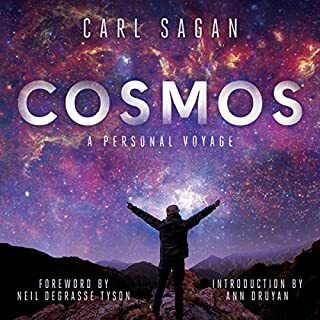 Now, his four decades-long co-writer, "Cosmos" collaborator, love of his life, and surviving wife Annie Druyan has found Carl's original master recordings of his voice and has filled in to make the first unabridged recording of this book---a book long famous for the soliloquy-excerpt bearing the same name, now deservedly a part of modern pop science culture. "Consider again that dot." I always will, Carl. Thank you for this, Annie! Thank you, Carl. You are proof that, although life isn't fair, good things sometimes happen to deserving, good people. 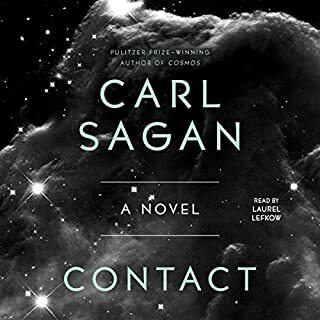 Just so you know, only the first four chapters are narrated by sagan. The rest of the 18 chapters are done by his wife. So if you want this for sagan's sultry voice understand there is not much of him in it. I enjoyed the parts where sagan is talking, but just tuned out when it wasn't him. They tried to restore this from an old audio book master, but it was damaged. I don't know how they couldn't find someone out there with a good copy. Carl Sagan was a great in popularizing science, making astronomy and physics engaging, entertaining and charming. 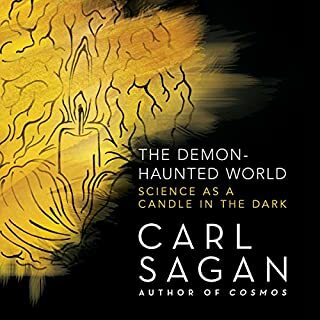 The book as a whole is great and Sagan's narration is so good, because he narrates like he's in conversation. Unfortunately, the original masters were damaged so Sagan doesn't do the whole book. His partner Ann Druyan narrates the remaining chapters. It not really unlistenable but Druyan's voice is thin and at times uneven, going from normal time to a whisper. It a good, inspiring listen partly hobbled by uneven narration. 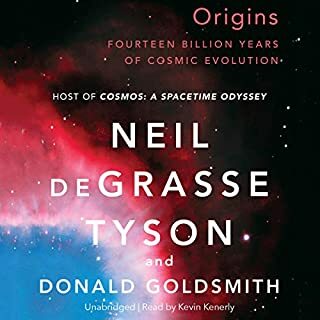 Where does Pale Blue Dot rank among all the audiobooks you’ve listened to so far? The original master tapes were irrecoverable for about half the book. Instead of inviting someone with distinctive voice to blend with Carl Sagan's (he narrates the first half), his wife read the rest. She may be brilliant in her own right, but her voice, in an attempt to convey the wonder the book inspires, is set in a soporific whisper. It's as if my grandmother has returned to read me to sleep with her frail, but sweet voice. Carl Sagan was a master at communicating the wonders of the cosmos. He is an example of the amazing potential that humanity possesses, if we could only realize it. 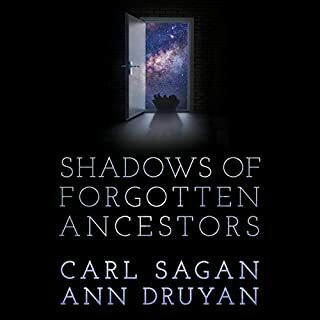 Would you listen to another book narrated by Carl Sagan and Ann Druyan ? Carl Sagan, yes. Ann Druyan, only if it's the only way to listen to a Carl Sagan book. Carl Sagan is a wordsmith. I get tearful every time I listen to him recite the Pale Blue Dot monologue. "It's the only home we've ever known." I would rather have the degraded recordings with all of Carl's narration. This is bittersweet. 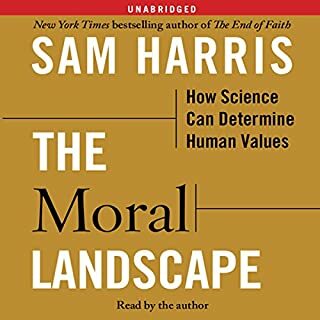 I can't help but appreciate all the passion and hard work that went into this audio book, but the final chapters are what I have listened to in order to help me sleep. Carl's voice is a panacea to my insomnia. 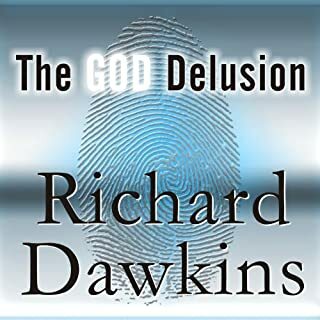 The absense of his voice in the last chapters of this revised audio book is heart breaking. Annie has done a swell job, and she honors his memory by continuing to carry the fire for another generation to behold. I just need the original version. Edit: It's very well done and now that I'm not exhausted I can appreciate the work done to restore it. Ann has done very well. This is Carl Sagan, reading his own words. A time capsule. What could not be recovered from his original reading is loving read by his wife and partner, Ann, with such passion it almost hurts. Carl Sagan is unparalleled in his ability to inform while inviting you to explore the possibilities and wind through your own imagination. Many have tried to emulate his works, with limited success. 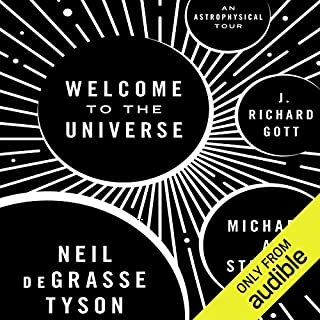 If you want to learns facts while begin talked down to, grab a Neil DeGrasse Tyson book. If you want to have your hand taken by someone who wants you to know, and who wants you to think outside of the box, all the while guiding you on an exploration beyond your wildest dreams, listen to the master: Carl Sagan. You will not be disappointed. Pale Blue Dot is a popular science book which deals with the solar system while also reflecting on some of the big issues concerning humanity’s place in the cosmos. The big problem with this book is that it is now so old. A lot has changed since it was written in 1994, and while listening I was wishing that Carl Sagan was still around to update us about the latest astronomical discoveries. Unfortunately he died at the relatively young age of 62. 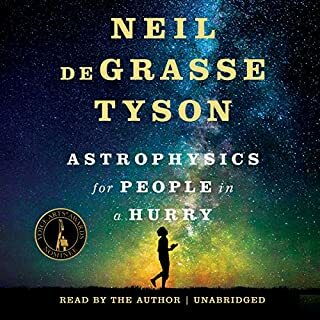 Nevertheless, it’s a good listen, and I learnt a lot about the planets, moons and asteroids whizzing around in our neighbourhood. Sagan was years ahead of his time and he discusses climate change as if it were as well-established and accepted as it is today (by most reasonable, educated people, that is!) as part of a mature consideration of the fate of Earth and the threat posed to it by human activity. With typical wisdom and foresight he discusses the possibility that the nuclear arsenal could get into the hands of a madman, a situation with a nasty ring of truth to it today. One bonus you get at the beginning of this book is that the first couple of chapters are read by Sagan himself. He initially recorded the whole book, but the remainder of the tapes were lost or damaged, and so the rest are narrated by his wife Ann Druyan. She does a pretty good job, but her voice really reminds me of Marge Simpson, lending a slightly comedic air to the listening experience - but Marge Simpson has a kind of wisdom about her and so it all works out pretty well. I have a long history with this book. It was probably the first non fiction book I bought (15+ years ago, back during the original picture filled printing). It was after reading this book that I moved away from an adherence to a fundamentalist version of Christianity. This book was partly responsible for my passion for astronomy. This might also be my all time favorite book. 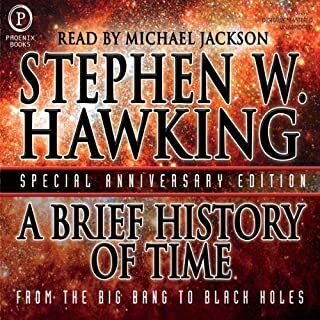 So when I saw this was being released on audiobook, it was a day one purchase. 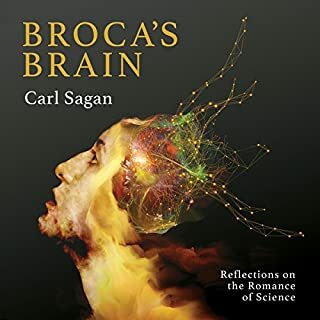 As for the audio you only get Sagan’s voice for only the first 4 chapters (about 2.5-3 hours) and then the next 10+ hours is the Druyan new recording. Druyan does a good job, but I really wish they could have used more of Sagan. 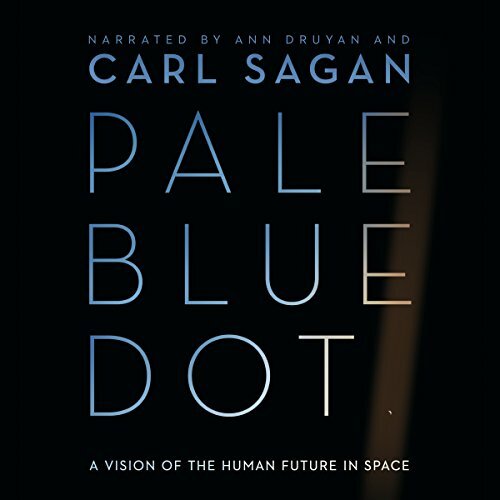 There was an unabridged Pale Blue Dot recording where Sagan did the first 4 chapters, all chapter introductions, occasional sections of other chapters and most (if not all of) the final chapters. I really wish they were able to use those parts, but apparently the masters degraded too much to be used (honestly I would have been happy had they just used a cassette copy if it meant more Sagan). 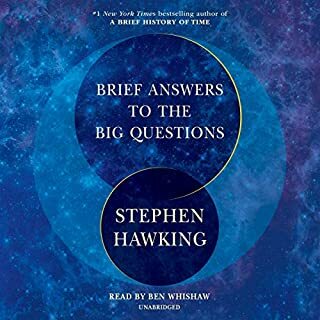 As for the book itself, the books spends time talking about (1) astronomy, its history, the planets and the voyager probes, (2) philosophy, religion, climate change and mankind, and (3) the future of space exploration. The astronomy part was very informative and well done, but by now it’s getting a little dated. He also talks a bunch about future NASA missions, many of which are taking place now (such as new horizons). Much of the information is still relevant and very interesting, such as how they discovered the conditions on Venus and how different it was from previous expectations, or the various history lessons such as how we got from the geocentric mindset to realizing just how vast the cosmos is. The parts of the future of space exploration were a little speculative but fun and entertaining. 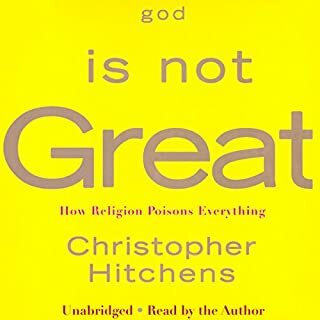 The religious / philosophical parts are probably where some could find this book offensive (these are also the only parts narrated by Sagan), unlike some other atheist/agnostic authors, he doesn't just attack religion, but from his perspective the huge vastness of space makes it very hard for him to believe that there is a deity which is concerned with an individual species (or a religious subset of that species). He has some pretty great parts about how rare life is in our solar system, so far it's only been confirmed on one planet, and so we should cherish, accept one another and take care of the planet. These are also the first 4 chapters and could be skipped (although I think they should be listened to at least once). Overall I'm glad that I listened to this book again; it's as great as I remembered. Contenu fascinant. Même si le temps écoulé depuis la rédaction de cet ouvrage en 1994 rend certains passages obsolètes, la philosophie et la vision de C Sagan sont plus actuelles que jamais et très stimulantes. Hélas, la version audio est décevante. Seuls les premiers chapitres sont lus par leur auteur et agréables à écouter. Les bandes audios retrouvées, nous dit-on en préambule, étant trop endommagées. La lecture est reprise pour la quasi-totalité de l'ouvrage par sa veuve A Druyan, sur le ton qu'emploierait une narratrice de contes au pays des merveilles s'adressant à des enfants de 3 ans, plutôt qu'un scientifique soucieux de communiquer ces connaissances à un publique intelligent. C'est suffisant pour vous rendre fou furieux.... Si ce n'est pour le contenu, l'écouter jusqu'au bout est une épreuve. Fascinating content. Even though the time elapsed since the book was written back in 1994 makes some passages obsolete, Carl Sagan's philosophy and vision are as comtemporary as ever, and quite stimulating. Unfortunately, the audio version is quite disappointing. Indeed, only the first chapters are actually read by their author, and pleasant to listen to. Owing to damages to the original recording, one is told in the preamble, most of the book is read by C Sagan's widow,A Dryan, in a tone of voice one would use to tell tales of wonderland to 3-year olds, rather than that of a scientist eager to share his knowledge with an intelligent audience... It's properly infuriating. But for the content, listening to it throughout takes some will power. Read mostly by Carl Sagan himself ! A very poetic book about space, humans and our place in the universe.